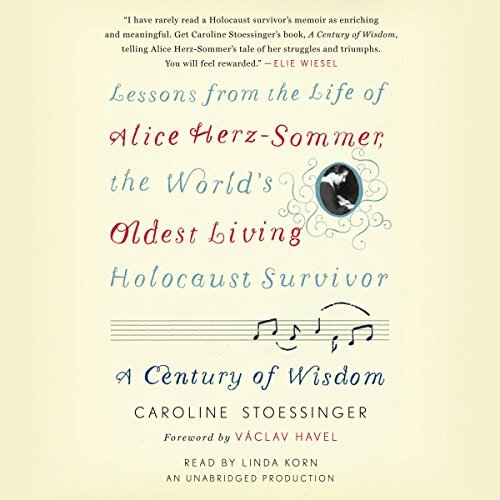 Showing results by author "Caroline Stoessinger"
Before her death at 110, the pianist Alice Herz-Sommer was an eyewitness to the entire last century and the first decade of this one. She had seen it all, surviving the Theresienstadt concentration camp, attending the trial of Adolf Eichmann in Jerusalem, and along the way coming into contact with some of the most fascinating historical figures of our time. As a child in Prague, she spent weekends and holidays in the company of Franz Kafka (whom she knew as “Uncle Franz”), and Gustav Mahler, Sigmund Freud, and Rainer Maria Rilke were friendly with her mother.